Situational awareness: Fox News' new streaming service "Fox Nation" launches today. The New York Times calls it "The Netflix for conservatives." Go deeper. 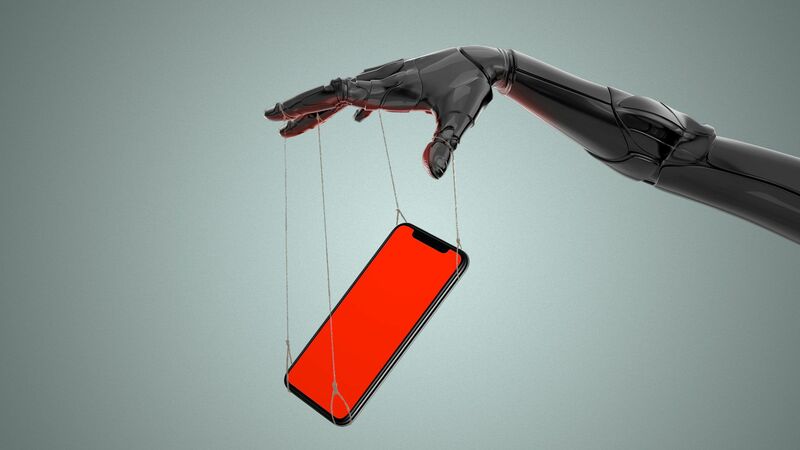 Misinformation bots are increasingly deploying more sophisticated techniques to game social media platforms, even as the platforms are making changes to weed them out, according to new studies. Why it matters: Most Americans say they can't distinguish bots from humans on social media, according to a recent Pew Research Center survey. Focus on speed: The spread of low-credibility content by social bots happens very quickly, according to a new study from Indiana University published in Nature Magazine. The study suggests that bots amplify questionable content in the early spreading moments before it goes viral, like the first few seconds after an article is first published on Twitter. Using specific targets: Bots target specific social influencers, who are more likely to engage with bots, according to a new study from the Proceedings of the National Academy of Sciences (PNAS). This elevates content more quickly than if it were to be exposed to everyday users or other bots and suggests that bots are more strategic in who they target than previously thought. Elevating human content: Bots aim to exploit human-generated content, because it is more prone to polarization, according to the PNAS study. "They promote human-generated content from (social) hubs, rather than automated tweets, and target significant fractions of human users," the report said. This helps social bots accentuate the exposure of opposing parties to negative content, which can exacerbate social conflict online. Targeting original posts, not replies: Bots spread bad content that is created through an initial tweet or posting, according to the Nature study. "Most articles by low-credibility sources spread through original tweets and retweets, while few are shared in replies," per the study. "This is different from articles by fact-checking sources, which are shared mainly via retweets but also replies." Gaming metadata: Bots are using more metadata to mimic authentic human engagement, not just the way that humans post, according to a new study from Data & Society. As platforms get better at detecting inauthentic activity, bots are using metadata — photo captions, followers, comments, etc. — to make their posts seem more human-like. What's next: The best way to tackle the problem at scale is by identifying the source of inauthentic behavior, says Joshua Geltzer, executive director of Georgetown University's Institute for Constitutional Advocacy and Protection. More than half of internet traffic is bots, but an increasing number of internet bots are being developed to game social platforms. Not all bots are bad. (Some, for example, are used to make our search experiences more accurate.) But the bots used to spread fake news are usually bad, and bad bots make up roughly one quarter of internet traffic. Bots are programmed to perform simple internet tasks repeatedly. On social media, such tasks include liking or retweeting certain content to falsely inflate its authority on the internet. Facebook is under intense political pressure around the world, with hearings on both sides of the Atlantic today that challenge its commitment to treating users fairly. Why it matters: Facebook's year of controversies in the U.S. still isn't over, and it might be the beginning of many more to come abroad. In the U.S.: Lawmakers will push members of the Federal Trade Commission today to provide details of their investigation into whether Facebook’s handling of the Cambridge Analytica data leak violated a previous legal settlement with the agency, per Axios' David McCabe. In the U.K.: Meanwhile across the Atlantic, Facebook’s Richard Allan faces policymakers from around the world who are part of a British parliamentary effort to question the company over a variety of issues. Between the lines: What's happening today in the U.K. is highly-unusual and noteworthy. The global probe: Facebook has been dodging this hearing for a while. And now, lawmakers from nine different countries around the world will be present to grill Facebook's European policy chief, including Argentina, Belgium, Brazil, Canada, France, Ireland, Latvia, Singapore and the U.K.
Go deeper... ‘Generally amoral’: Facebook’s 6 million advertisers will keep it afloat no matter the scandal, via Digiday's Kerry Flynn. Glamour, the decades-old fashion and beauty magazine owned by Condé Nast, announced last week it was ending its regular print publication. It's the latest fashion rag to shutter or reduce its print edition, or consolidate its operations, in the wake of a digital media transformation. Media rights are the biggest sector within the sports industry in North America, according to a new report from PwC. Between the lines: More digital streamers are vying to win the rights to lucrative sporting events, many of which are up for renegotiation over the next few years. A new report from Cisco forecasts an alarmingly slow internet traffic growth rate for Latin America, especially when compared to the other lagging regions, like the Middle East and Africa. Why it matters: Latin America's slow internet growth will make the adoption of digital technologies, like streaming, more difficult, as companies like Netflix and Amazon try to push more aggressively into the region. Details: Latin America is behind its competitors in Europe, North America and Asia in offering more public wi-fi access points and home broadband access, per Cisco's latest Visual Networking Index (VNI). As a result, IPv6 (the most recent version of the Internet Protocol) total internet traffic in Latin America is expected to grow slower than the compound annual growth rate (CAGR) globally. And at a 63% CAGR, it is the only region that's expected to grow more slowly than the global CAGR for internet traffic, which is 77%. By comparison, the Middle East and Africa are expected to grow at a 96% CAGR. More saturated regions, like North America and Asia-Pacific, are expected to grow at a 79% CAGR. Between the lines: When it comes to internet speed, Latin America is far behind all other regions and will continue to lag over the next five years, per the report. Be smart: A weak regulatory framework for increasing connectivity is likely to blame for this gap, according to Cisco senior director of technology and spectrum policy Mary Brown. "If I were a regulator in Latin America, I'd be looking at this data with some degree of concern. Because Latin America is not doing what the Middle East and Africa are doing, which is using regulatory frameworks to create more internet competition." "Only 24 hours after posting the teaser trailer for the new live-action/CGI Lion King—on Thanksgiving no less—Disney already had a lot to celebrate. And the film doesn’t even hit theaters until next summer," per Vanity Fair. "In 24 hours, the trailer got 224.6 million global views, making it the second most viewed trailer from any studio in that time frame."